Welcome to our growing Eco-Village! In Saranagati Village, Venables Valley, BC, we are developing an organic farm and cottage based economy. September is upon us and although the sun is shining as brightly as ever, the nights are rapidly cooling down. In Venables Valley, BC, we are enjoying the tail-end of nature’s abundance with tomatoes, cucumber, salad greens, kale, chard, cabbage, beans, jerusalem artichokes, beets, carrots, horseradish, potatoes, zucchini, winter squash, peppers, herbs, strawberries, apples and even melons! 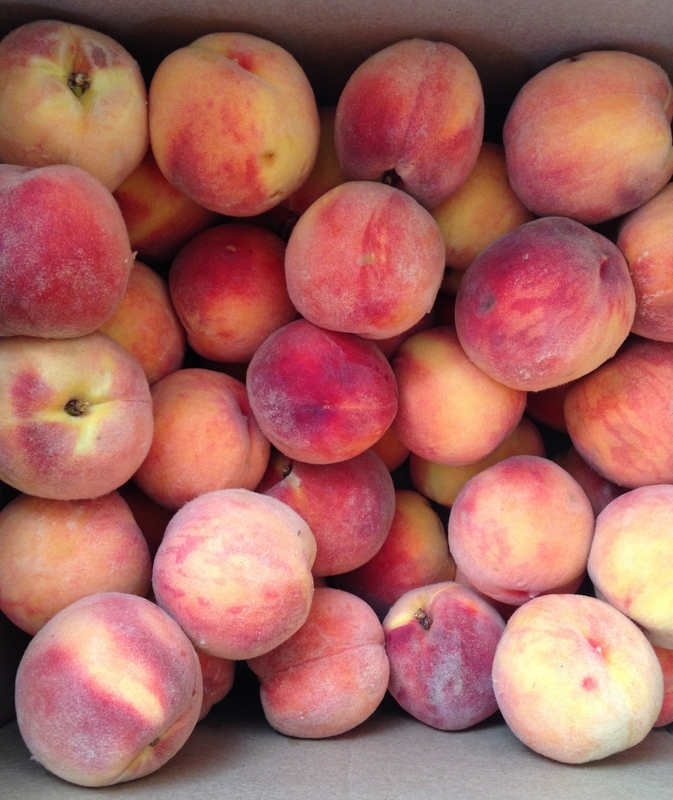 As well as, peaches, nectarines, plums, apricots, apples, pears and grapes from neighbouring farms. Meet our farmers! Venables Valley and Saranagati organic farms include: Bhumi Farm Organics, Govardhan Gardens and Home Lake Farm. A few dedicated farmers provide over 30 local families with an abundance of fresh produce. Our farmers are a wealth of knowledge with experience in off grid, innovative techniques. Jim, of Bhumi Farm Organics, grows a commercial crop of organic jerusalem artichokes, also called “sun chokes”, a root vegetable, high in protein, antioxidants and low in starch. These nutritious chokes are now being dried and used in products like gluten-free flours. Ron, of Home Lake Farm, grows everything from veggies, legumes, grains to fruit & nut trees. He also organizes our Saranagati Village weekly farmer's market, which will kick-off next growing season with it's annual Seed Exchange, including an on-line seed database. Dedicated to Srila Prabhupad's vision of self-sufficient farming communities, Home Lake Farm is testing crops like chickpeas and dry land rice. Can you imagine a community where most of what we do and consume is surrounded by nature, in our own backyard? I have lived here with my family for just over a year and I am so inspired about what's possible when people work together for a higher cause. This is REAL FOOD, full of sunshine and mother nature’s LOVE. We look forward to sharing it with you!